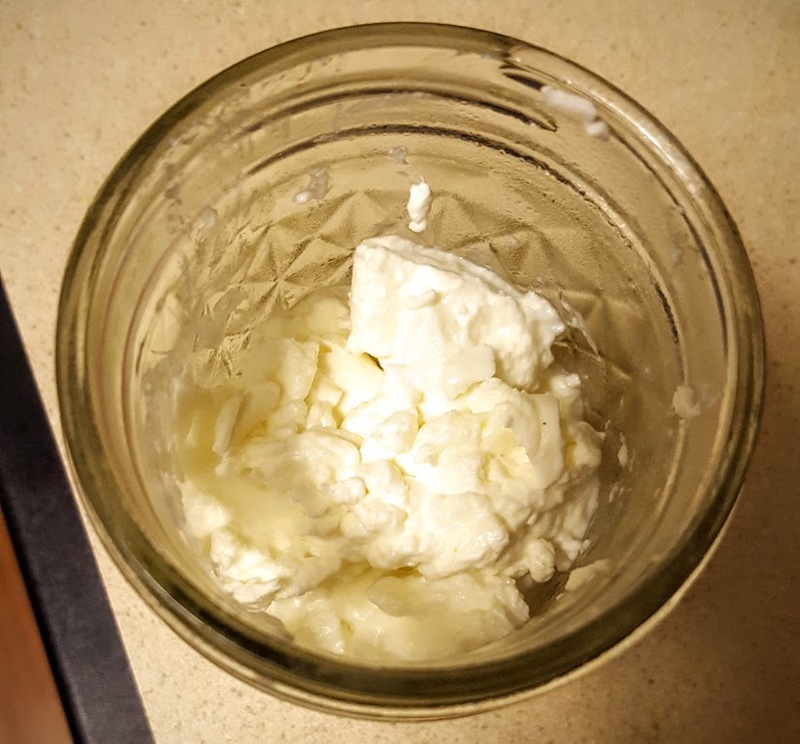 So you decided to try out making cheese or yogurt for the first time. Now you have a disappointing amount of your desired product, and an alarming amount of whey byproduct. Fear not, whey is so useful, that industrial production of this once waste product has surpassed production of actual cheese! A word of warning, whey contains a concentrated amount of the substances that cause dairy and lactose allergies/intolerances. Most of the fats and proteins have been removed from the whey when the solids were extracted for cheese/yogurt. While the remaining nutrition is mostly sugars, the vitamins and minerals are valuable. A cup of weight contains 60 calories, 13 grams of carbohydrates and numerous micronutrients (source). Yogurt whey is fermented thus packed with the probiotics that many people (including myself) pay good money for. I drink a few ounces of whey when I wake up in the morning on an empty stomach. It has a weird combination of savory with an acidic tartness that I’ve acquired a taste for…likely from my love of sour beers and kombucha. Expect the same effects as probiotics…especially if you are relatively new to the scene! Mozzarella whey is not biologically active however if I am running low on yogurt whey, I will inoculate the former with the latter. While cheese whey lacks the good microbes of yogurt whey, it is still full of nutrition. Furthermore it’s acidic properties pull great amounts of calcium, collagen and flavor from animal parts when used as the base in a stock (my observation, no scientific basis). Before I discovered whey, I used a vinegar water base to try and achieve the same effect. With the boost in nutrition comes a boost in calories as well that should be accounted for. I usually wake up with yogurt whey and go to bed with whey-based bone broth. Similarly, when I still ate bread nothing was better than a loaf of sourdough with the the water replaced by whey. I can’t even describe the change in flavor but it was irresistible. If I could comfortably digest the products of baking, I would be trying whey in everything! Seeing as protein is the most expensive food source for any creature, I have fed whey to livestock as well as pets. Fair warning, introduce whey slowly and incrementally into an animal’s diet to prevent having some loose messes to clean. As a last resort, whey can be added to the compost pile or to the soil as an acidifying fertilizinger. If you have neither compost nor acid-loving plants, find someone with a compost pile or who grows blueberries or tomatoes! Whey reduced the occurrence and rate of progress of powdery mildew in squash and cucumber plants (source). It seems weekly applications of 25% whey are the most effective, but more research is needed for exact timing and quantity determinations. I may try it on my grapes for the intended purpose and to see if there is any effect on the devastating japanese beetle populations. Next time you make yogurt or cheese, smell your hands a few hours later. They will smell like those expensive cosmetics made with lanolin. In fact the smell is such an exact match, I would not be surprised is news broke that these products were being falsely advertised. Next batch of soap that I make, I will add some whey! I’ve come across quite a few recipes for whey-based beverages ranging from simple, refreshing lemonade to creative cocktails. Citrus flavors and whey would be symbiotically complimentary in my opinion so I am going to try them out! I will surely report back. Lastly, I am inexplicably eager to try out fermenting food. Everything from mayo, to krauts and kimchi to salsa to anything that can be brined or pickled is on the radar. Whey is known to kickstart those processes but I’ve read some foods are better suited for whey inoculation than others. Until I can report back with real experience, I have to defer this subject to your own research. These are the options I’ve encountered or researched but I am sure there are many more. Putting whey down the drain is a water pollutant and a waste of a good resource so I hope you can find a way to put it to use! 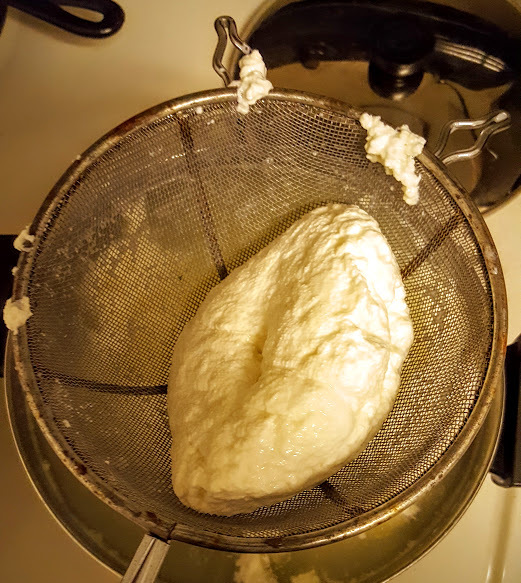 Making mozzarella cheese at home is easy but time-consuming. One batch takes about 2 hours and yields 13 oz of cheese per gallon of milk which for me, is 13- 85 calorie servings. Followup to the bare bones recipe posted yesterday. While milk is heating, stir the acid into a bit room temp water- just enough to dissolve the acid. When the milk is 55 degrees, stir in the acid solution then continue heating. When the milk reaches 88 degrees Fahrenheit (31 C) then stir in the rennet. Do not stir any more after this point! 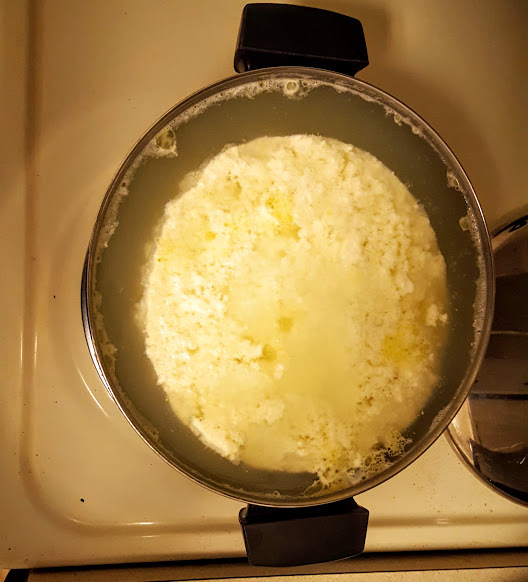 Slowly heat to 110 degrees (43 C) then hold the temperature until the curds pull to the middle leaving clear whey around the sides. Scoop out and drain the curds while heating the remaining whey to about 175 degrees (80 C). Aggregate the curds into a few groups, then dunk and hold in the hot whey kneading between dunks. The dunking and kneading is to raise the entire curd to the right temperature which is too hot to handle. Don latex gloves for kneading. Once the cheese is almost done, add a few teaspoons of salt to the whey. Repeat dunking until the cheese is smooth and stretches like taffy. It can now be rolled and cut/twisted or balled or however you wish to store it. Eat, refrigerate for up to 2 weeks or freeze the finished cheese. Collecting the curds and straining the whey. Cheese is starting to reveal itself! Ready for the final dunking. As the curds turn to cheese demonstrated by their smoothness, I consolidate them into the storage size. I also keep a little sample set aside for immediate eating. Yes, that’s right…1 gallon of milk only yields 13 oz. of cheese. It takes less time overall but a lot more work than yogurt and the result is a biologically inactive product. Although I love cheese, the roughly 3/4 gallon of whey that remains is my try goal. I mostly use it in to make stock in combination with animal bones, or inoculate it with yogurt whey to replace my $60/month probiotic. Luckily the whey is so useful, the once waste bi-product of cheese making has overtaken industrial production of the valuable cheese itself. I’ll explain more ways to utilize whey tomorrow! 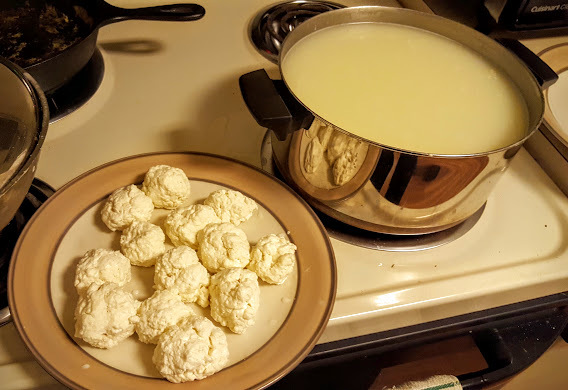 If you possess a greater amount of patience than me, you can keep the curds warm to roll, stretch, twist, cut, etc. your way into beautifully presentable cheese. When I use mozzarella, it is to grate for pizza/pasta type dishes or rip chunks off to stuff under fish or fowl skin before baking. So I don’t put much effort into presentation. It is however rich and delicious but you will likely need to play with the salt levels in the dunking whey to nail your desired levels. The process to make mozzarella cheese is so simple but a bit time consuming. This recipe assumes 1 gallon of milk with 1 teaspoon of citric acid and 1/8 teaspoon rennet, both diluted in a small amount of water. Heat milk to 55 degrees Fahrenheit (13 C) then stir in an acid. Slowly heat to 88 degrees Fahrenheit (31 C) then stir in the rennet. 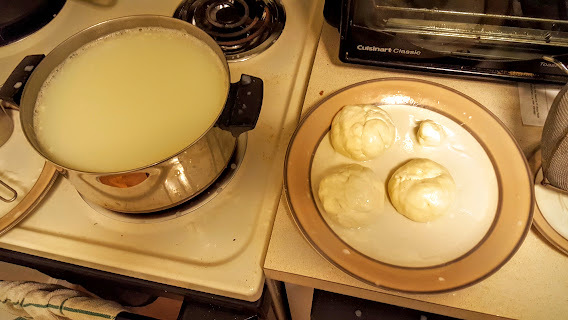 Slowly heat to 110 degrees (43 C) then hold the temperature leaving the pot unstirred until the curds pull to the middle leaving clear whey around the sides. Don’t discard the whey! I’m working on a post to describe all the uses for this nutritious and versatile substance! I will also post a more detailed recipe tomorrow but I know some readers appreciate concise DIY posts. Enjoy! I’ll be brief and minimally graphic in this introduction. A waterborne illness infected my body in Africa and wrought havoc on my digestive tract and consequently my immune system for 16 months. My doctor was astounded I hadn’t taken any antibiotics because she found alarmingly low levels of the required microbes in my intestinal tract. She recommended nearly unfathomable amounts of probiotics, incorporating fermented foods into my diet and feeding those microbes with vegetable based fiber. 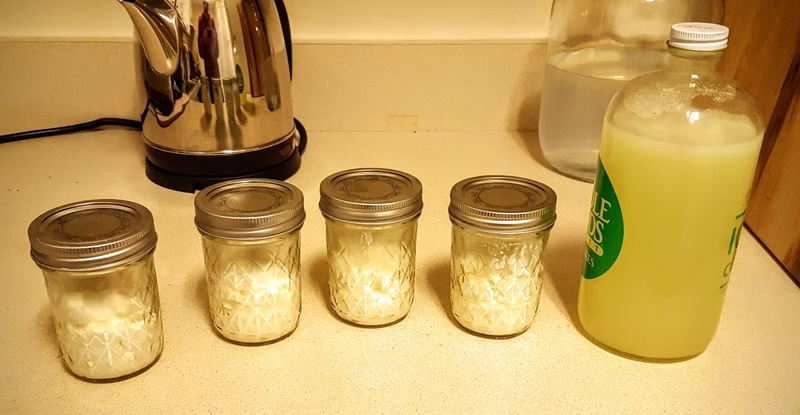 Unpasteurized full fat yogurt, VSL #3 (affiliate link) and farmers market sauerkraut (and recently I have added kombucha) were the factors that brought my recovery at long last. Since all of these are very expensive or simply unavailable except seasonally, I decided to try and make my own family of inexpensive probiotic foods. Surprisingly, my first attempt yielded the most amazingly rich and tart yogurt I have ever had! Pot if you are going to use the double boiler method. Otherwise just use the ceramic crock pot! Pour the rest of the milk into the pot and slowly heat it up to 180-200 degrees (82-93 C). Some literature says this alters the protein structure so the milk sets rather than separating into curds and whey. 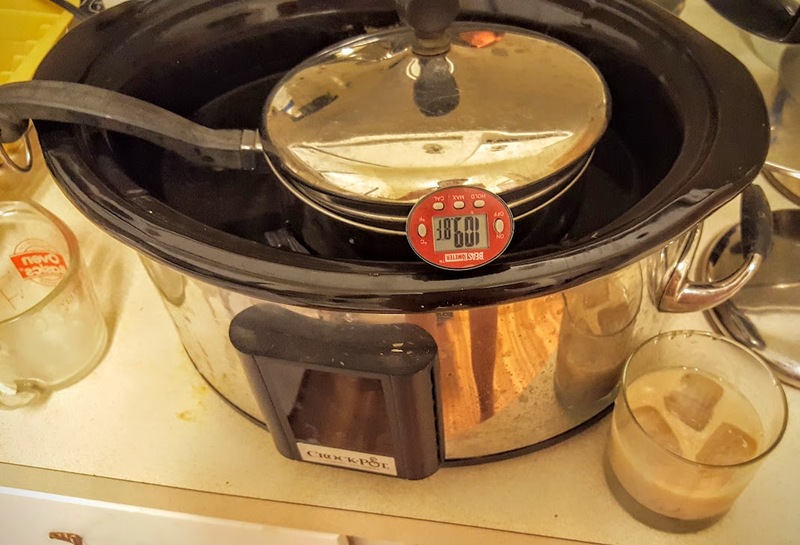 When the milk reaches 180-200 degrees, add a few cups (not so much that it overflows your yogurt pot) of cold tap water to the crockpot then transfer to the pot with the hot milk to the crockpot. Add more cold water if there is room. Somehow, without any further action the temperature of the milk/water in the crock pot equalized after 10 minutes perfectly at 110, the desired temperature! I turn the crockpot on warm for 30 minutes, off until the temperature drops to 100. Then repeat as necessary. After ensuring the milk is at 110, wrap the entire ceramic part of the crockpot with a towel or blanket for insulation, then transfer to the oven for another 6-10 hours. The oven simply provides insulation so turn the light on if you have one. Alternatively you can use a cooler or a pile of blankets or towels. Check the yogurt to see if it has set properly and to the desired extent. If not, just let it keep fermenting and warm it up if you can. If the yogurt has set, transfer to your desired storage containers and refrigerate. The rest of the steps are optional! 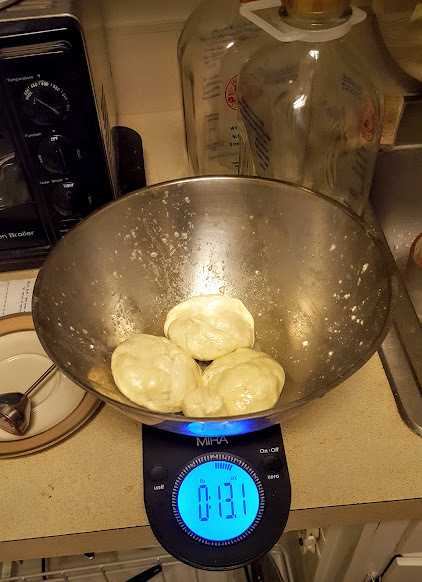 Using this method yields 17 oz. (weight) of yogurt and about 30 oz (fluid) of whey per half gallon of milk, or 4 234 calorie servings. Basic process. Note the most important step: take a bit of the milk for a white russian! 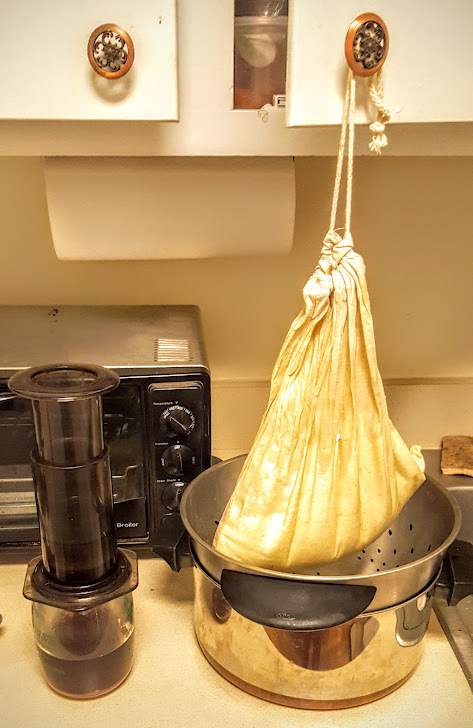 While coffee is being brewed, the yogurt is strained into greek style after a night of sleep allowed it to ferment and set. I like really thick yogurt. Ok ok, my preferred product resembles yogurt cheese more than Greek yogurt! After straining to thicken or make greek yogurt, about half of the volume of milk will remain in the form of whey. Whey is incredibly nutritious: packed with enzymes, probiotics and protein but also contains a concentrated amount of the substances that cause lactose and dairy allergies/intolerances. I’ll write a piece dedicated to whey in the future. For now, you can drink it as a probiotic, inoculate fermenting veggies, substitute it for water in recipes like bread or stock/broth for a protein (and calorie!) boost, spray it on plants to mitigate powdery mildew, add it to soil/compost as an acidifying fertilizer, or feed it to livestock or pets! As this was my first attempt, I made a small batch in case I failed. This allowed me to use my crockpot and a soup pot as a double boiler. No incubator or specialized equipment was necessary. There is a lot of time required, but it is mostly passive. In the future, I’ll be upping the batch to 1 gallon of milk or more. Secondly, our bodies are designed to digest fat as a primary food source while carbs cause the inflammation that was originally attributed to cholesterol and fats (and heart disease, high blood pressure). In fact, the human body produces cholesterol to repair the inflammation caused by carbs so high cholesterol is an indicator of a problem, not the problem itself (202 kB PDF Meta-analysis of 76+ studies). More fat in the milk correlates with more yogurt or cheese can be extracted. So don’t fear consuming fat, and use high fat milk for this process! Lastly, yogurt doesn’t really “go bad” per se. Instead the tartness increases until it reaches vinegar levels. The fermentation acts as a preservative which is why we can leave it unrefrigerated, even more so warmed to the ideal growth temperature for spoilage microbes, for so long with no ill effects. The same can actually be said for milk which turns into yogurt, cheese or any of the fermented products that form staple foods in the Middle East (eg: kefir, laban) and Asia. Although when uncontrolled, potentially harmful microbe colonies can outcompete the desired ones. So as long as a reasonable amount of time has passed while the yogurt was refrigerated and there is no fuzzy discoloration, the yogurt is likely to reach an unpalatable tartness before it actually expires! Mead: The natural alternative to antibiotic resistance? I’ve been organizing some thoughts to write a book and came across this relevant article. With overuse of sanitizing detergents and cleaners plus having a huge amount of antibiotics passed to us through industrial raised meats, humans are showing alarming signs of antibiotic resistance. Could alcohol be the key? I’m not talking about pasteurized and filtered beers or sulfate laden wines or distilled spirits that are all biologically dead. I’m talking about the dying but recently reviving art of natural fermentation. Coupled with fermented foods likes yogurt, sauerkraut, kimchi, kombucha, etc. alcohol may be the key to our health. “Honey-based mead may curb antibiotic resistance, say makers” from Reuters describes a new mead developed on ancient recipes. The only ingredients are honey and water. In its normal state, the sugar in honey is supersaturated beyond the point of feeding microbes because to bees, fermented honey is spoiled food. By adding water, honey is made appealing to the naturally occurring but dormant microbes in the substance can now ferment it into alcohol. Probiotics are gaining more and more importance resulting in more recommendations by doctors? My own recommended them to help recover from Giardia I picked up in Africa. Mead has 100 billion live probiotic bacterium per serving. The honey stomach of bees contains lactic acid bacteria, same as most human orifices including the birth canal. The helpful bacteria makes an inhospitable environment for disease-causing pathogens. These bacteria plus honey have closed chronic wounds in horses who had become resistant to antibiotics. These same bacteria have been proven to kill human pathogens as well. Even those that have shown resistance. 13 lactic bacterium found in bees plus the wild yeasts all act to spontaneously ferment the mead. This is the point that brings everything home for me. Researchers used modern science to identify the value of the microbes in honeybees stomachs and applied them to an ancient craft of making mead. The results thus far have been promising and human trials are starting soon. Brewing beer is one of my favorite hobbies as the process itself is a simple as cooking any easy dish but the chemistry, biology, thermodynamics and microbiology allow the brewer to geek out if he or she chooses. If simplicity is desired, a good product can be made without any consideration to those science-based fields. 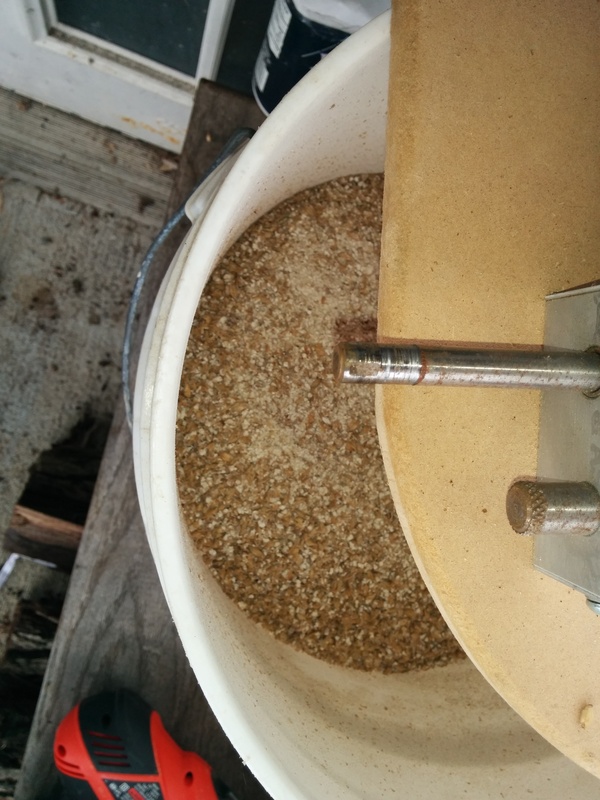 There are 4 main actions that can be completed the day before brewing to help speed up the process. Gather and treat water. If your water supply has chlorine you can allow it to sit uncovered overnight so it evaporates out. If it contains chloramines, it needs treated with something like Camden Tablets. Failing to remove either of these chemicals will cause the yeast to create phenols that taste rubbery or distinctly like bandaids. Steps 3 and 4 can be completed by any homebrew shop or mail order store. 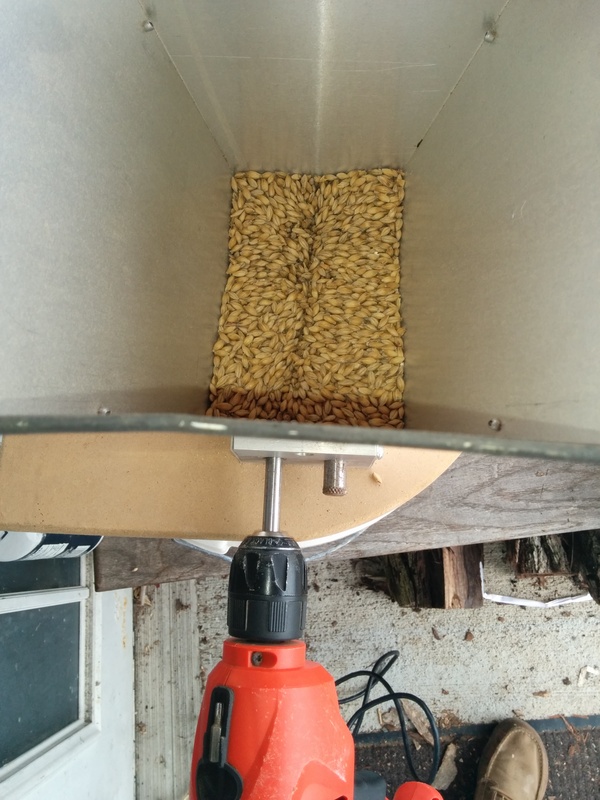 I buy all my ingredients in bulk as I own a barley crusher. Steps 1 and 2 are pretty self-explanatory so here are pics of the rest! You don’t want to make flour when crushing the grains. Cracking the husk and exposing the endosperm is the objective. The pictured crush is absolutely perfect by my standards! A good crush also preserves the hull to act as filter and a conditioning agent in the mash. Basically its keeps the barley mash from caking solidly which would cause a huge issue when trying to drain and rinse the mash. 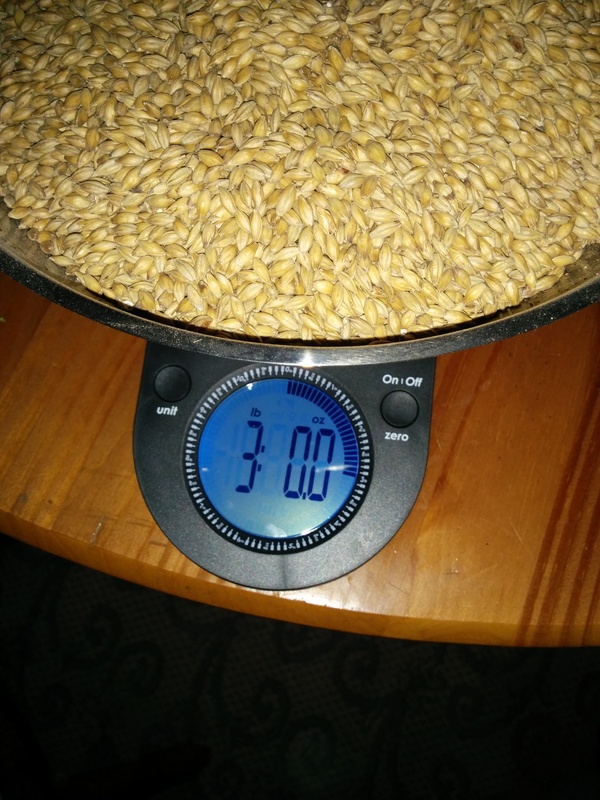 I brewed a batch yesterday but got lazy on pictures. I can continue explaining the process if there is any interest.